I would like to say that the last few weeks have been such an awakening time for me, but I’m not so sure of this. Has it been a few weeks? Or could it have been months? Or perhaps it’s a year? Does it really matter? Part of me would like to find out, but at the same time, maybe it’s irrelevant. More importantly it is the events which took place that really is of impact. I have a sense that I am going through a transformation. I am no longer the person I was, and at this point in time, I don’t k now who I am. This is what I am trying to figure out. However, I must admit that I feel like I’m a piece of Play-Doh. Yup, that’s right, good’ol Play-Doh. I’m playing around trying to sculpt myself into a masterpiece. This is so exciting and yet really scary at the same time. Here’s the thing, with Play-Doh the possibilities are endless. I can be as beautiful and big as I want. I get to choose what colours I want to use, how I want to look. I can be a rose, a swan, a bear, or even just a big blob. It’s up to me. I can take my time, and carve out the find details of my work, or I can be rough and throw things together. I decide what I want to be. It’s my choice; my sculpture. But I find that when you’re playing with Play-Doh, building your creation, there are always bits and pieces that fall off to the side. You don’t use these pieces. They’re left behind, and you save them just in case you may need them later on. Most times you don’t because they just dry out. And when you use different colour dough for your art, trying to separate them later on becomes difficult, and as a result the two colours will be joined together forever. And if the colours don’t work well together, this means when you mix the dough up again, the colours will merge and become an ugly brown. So I guess what I’m trying to say, or admit to myself is that I really need to think about what masterpiece I want to be. I must take the time to think things through. I need to ensure that the pieces that I leave behind are not the crucial ones I will need to survive. That the colours I choose to use, when blended together, actually complement one another, and don’t turn an ugly brown. I don’t lose sight of the end piece. And the neatest thing about Play-Doh is that if my masterpiece really isn’t what I imagined myself to be, I can reshape myself until I’m satisfied. I am flexible to adapt to any situation. What an awesome feeling! I see you reshaping over time, but in an adventurous sense! 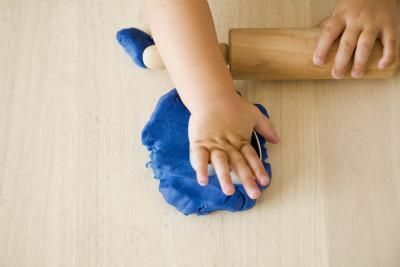 Keep remembering that play-dough is for play, not all work! Enter your email address to follow Smartie and receive notifications of new posts by email.